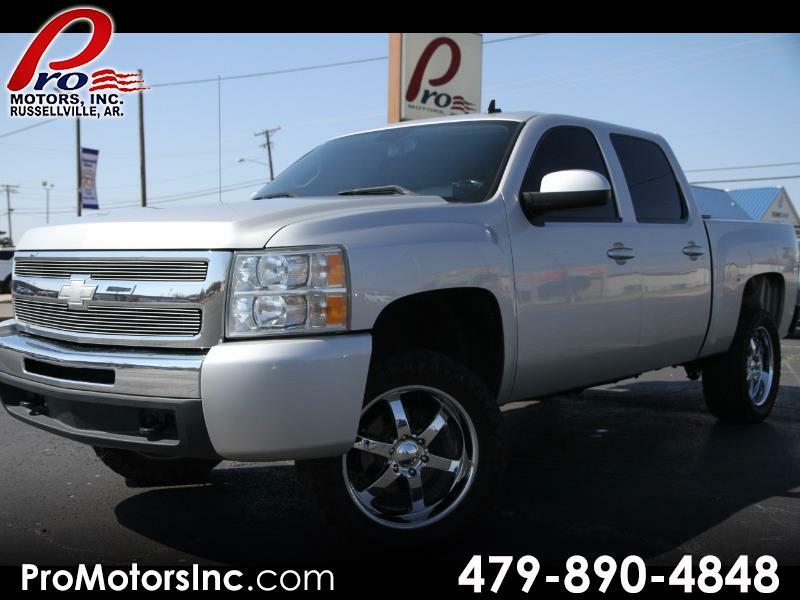 Used 2010 Chevrolet Silverado 1500 Z71 Crew Cab 4WD for Sale in Russellville AR 72802 Pro Motors Inc. YEAH! !...FINALLY we have Pictures Posted! !..Robert's Demo now FOR SALE! !...ONLY 101,900 MILES! !....Check our this "Super Sweet" 2010 Chevrolet Silverado Crew Cab LT Z71 4X4!! @-3" lift with AWESOME CHROME WHEELS carrying this "Bad Boy" around!! Bed Cover! !..Back Up Camera, Tinted Windows and so much more! Hurry, this one will go fast! !